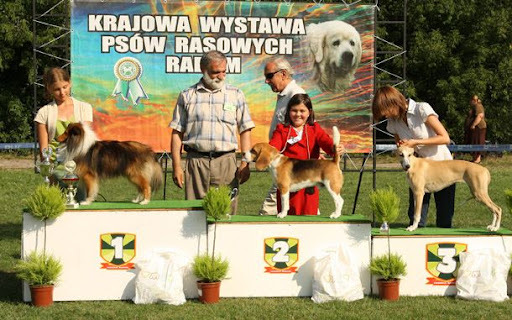 Mio Amore - is now a new POLISH JUNIOR CHAMPION !!! I can't be more happy and proud!!! I would like to thank our honorable judges Maria Burska (BOB) and Krystyna Opara (BIS Junior) for their choice. 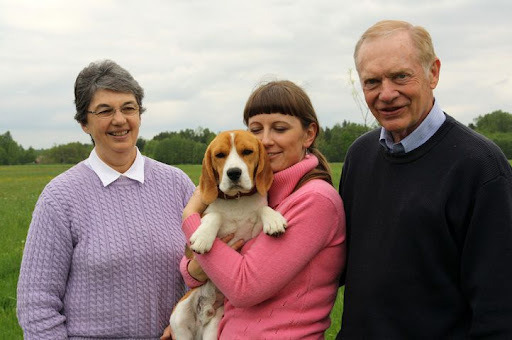 And big big thanks to Mia's breeder Gabriele Vadi Fonteposca Beagle. LILASTAR is a daughter of Our Barbie and GANDALF (Szephegyi-Szimat Gandalf), son of famous Int.Ch Daragoj Frank Zappa! What a fantastic and very succesful day for our puppy LILASTAR - LILASTAR Królewska Zgraja - who won BEST Puppy IN SHOW at All breed show in Kalisz, in big group of younger puppies from all breeds. I'm just over the moon!!! VERY HAPPY about this girl! 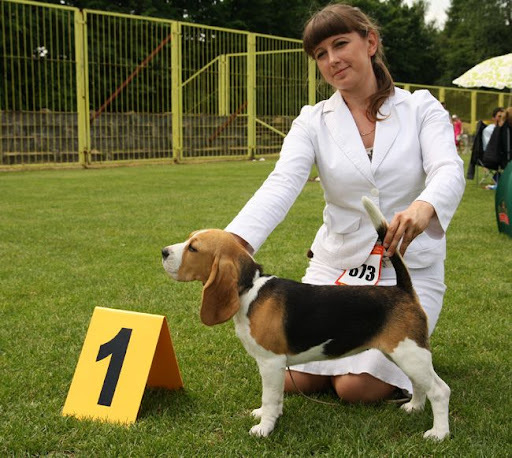 I would like to thank our honorable judge Jadwiga Niciewicz and big big thanks to Mia's breeder Gabriele Vadi Fonteposca Beagle. I can't be more happy!!! Fonteposca's MIO AMORE, my lovely Italian princess, today at Club Hound Dog Show in Poland (Opole) - have fantastic performance! She won BOB puppy under australian judge Tim Thomas and on the finals - won Best Puppy in Show under judge Vitaliy Beleskyy (UA). I'm thankful to our judges! Congratulations to All winners! So proud of our girl GAMA - Ch Game Over Królewska Zgraja Big congrats to the owners! BARBIE GIRL -Best Puppy Club Winner, Best in Show Puppy! and 'Best in Show Puppy' Got also Best Puppy Club Winner 2010 title! 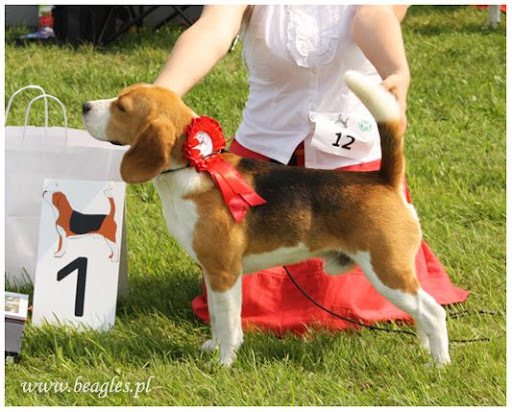 Our beautiful beagle boy from U.S. - had a successful show in Sopot. 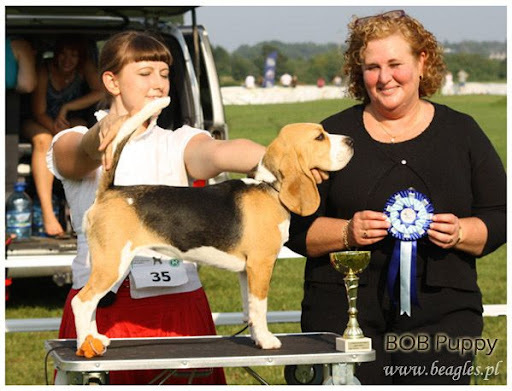 At Beagle Specialty Dog Show got 1-st place, Best Junior and BOB Junior! BARBIE GIRL - 2 x BOB Puppy, 2x Best in Show Puppy! Thank you: Sue Bownds i Kari Jarvinen, for your choice and critique. Snoopy is a STUD DOG read more..
Starbuck Torbay EASY STREET is here! Our wonderful boy arrived to Poland from distant America! Juuupi! Thank you - Lesley and David - for letting him to me :) He's a treasure, you know that! her polish championship [ CH.PL ] in a beautiful style! Snoopy and Wena celebrated theirs birthday- we wish you all the best!! Snoopy won once again and received the Best Junior in Breed title. 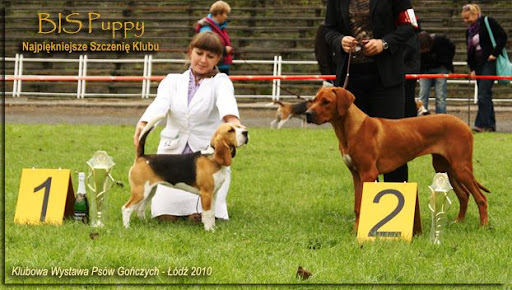 In the picture - BOB-Junior: Snoopy, BOB: Coco and judge Grzegorz Weron, to whom we're very grateful. 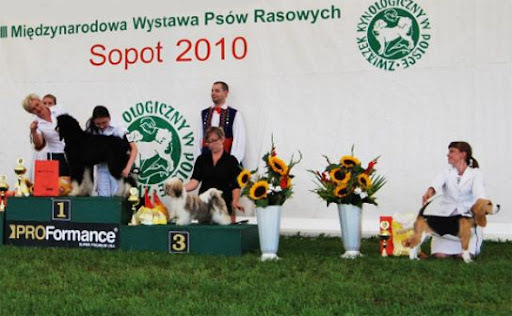 SNOOPY shown for the first time in jouth class [at only 9 months and 7 days] won and got the JCAC title, beginning the Polish Junior Championship Congratulations!